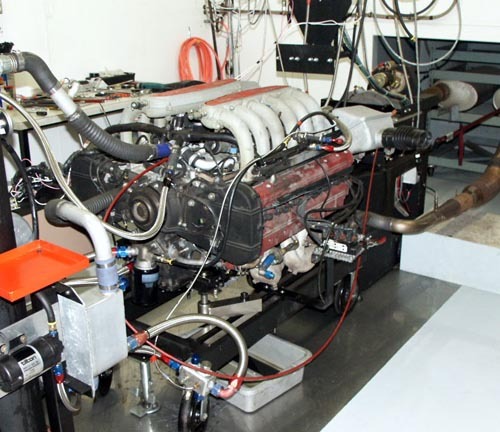 Dyno testing is an important part of engine rebuilding. When an engine is tested before delivery to the customer, a couple of good things happen. 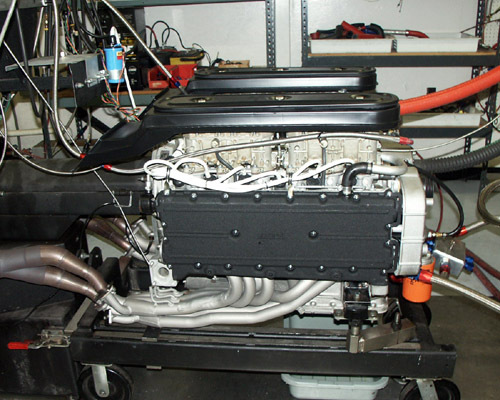 First, the engine can be properly broken-in under controlled conditions. Oil pressure is built up before the engine is started for the first time insuring that the bearings are fully charged with oil. 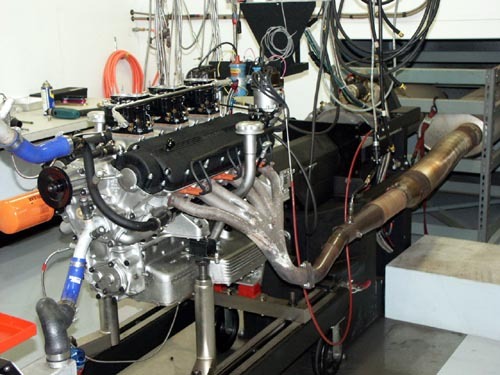 The break-in period is carefully monitored by the dyno data acquisition system. All pressure, temperatures and air fuel ratios can be monitored for irregularities. If there are problems, the engine can be stopped while fixes are made. Oil and water leaks are easily seen on the dyno. It is much easier to find and repair any leaks on the dyno then in the car. Second, the power can be observed and recorded. This is important information as this qualifies the engine. 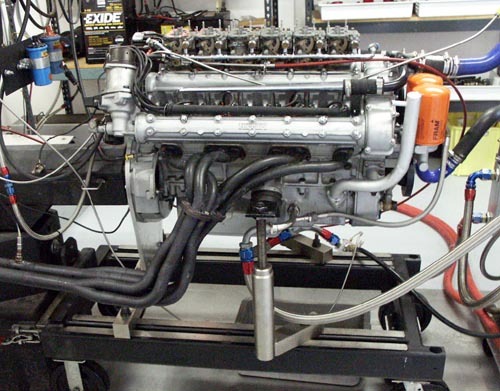 This means that the power is compared to other engines or predictions from engine simulation software. This documentation of tables and graphs can also become a permanent part of the car’s history. A record can also be made of the compression and cylinder leak-down at the end of the testing. This is useful during the life or the engine to monitor wear. A note on camshaft durations listed in the engine specification sections, all numbers are measured at .050” of lift. Although this style of duration measurement isn’t the way the factory does it, this is the way we measure duration on our cam digitizer. For comparison purposes, this works out better as most U.S. cam makers use this reference. Below is information about Carobu-built Ferrari engines. 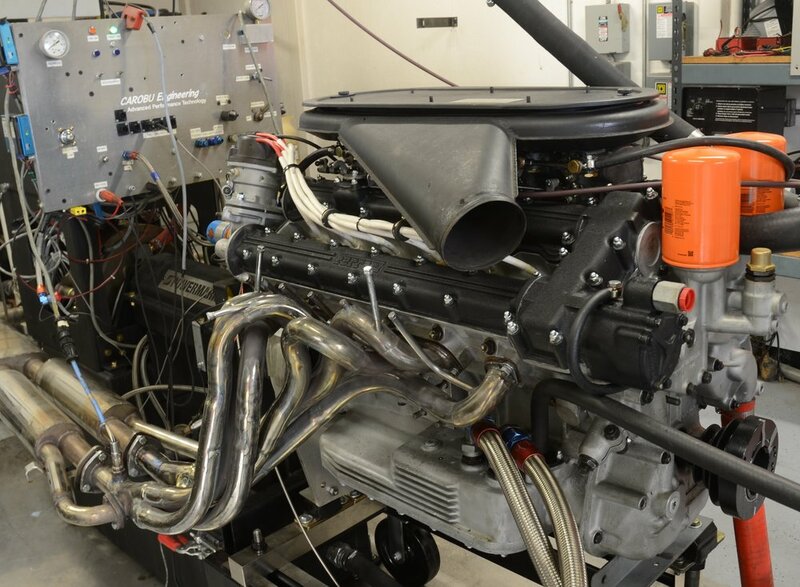 Some include videos of the engines being run on our dyno.